While the temperatures outside might have been a bone chilling 17 degrees on the day of C & M's wedding, their celebration was full of warmth and joy. C's mother contacted me almost a year before their wedding date and from there we embarked on planning all of the details of her daughter's special day. As the groom and his family are from the Baltimore, Maryland area, there would be a lot of out of town guests and we wanted to create a wedding weekend that gave the out of town guests a classic NYC experience while still appealing to the large number of "locals" who would also attend. 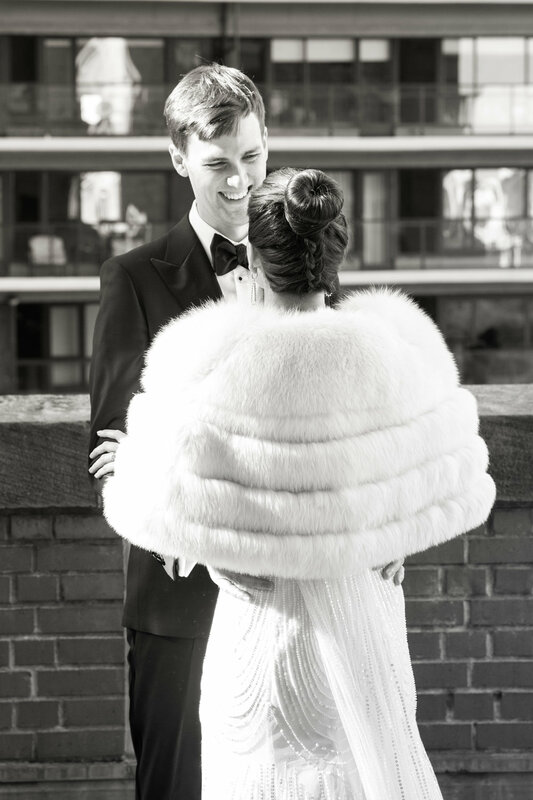 On Friday, the groom's family hosted a Rehearsal Dinner at Landmarc in the Time Warner Center followed by a Welcome Cocktail Party hosted by the bride's family on the Empire Hotel Rooftop. The Rooftop has a retractable roof that was obviously closed due to the freezing temperatures, but the space still offered stunning views of Lincoln Center and the Upper West Side. 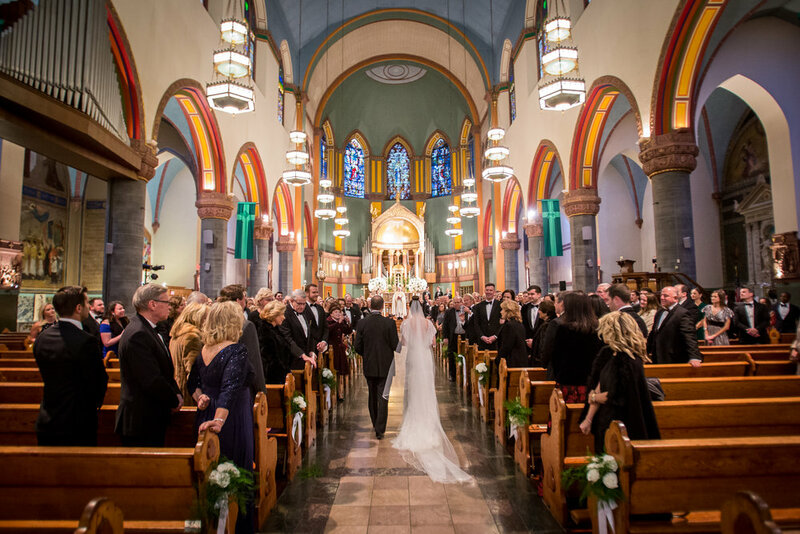 On Saturday the wedding ceremony was celebrated at the Church of St. Paul the Apostle, a stunning Church near the New York Athletic Club, where the reception took place. 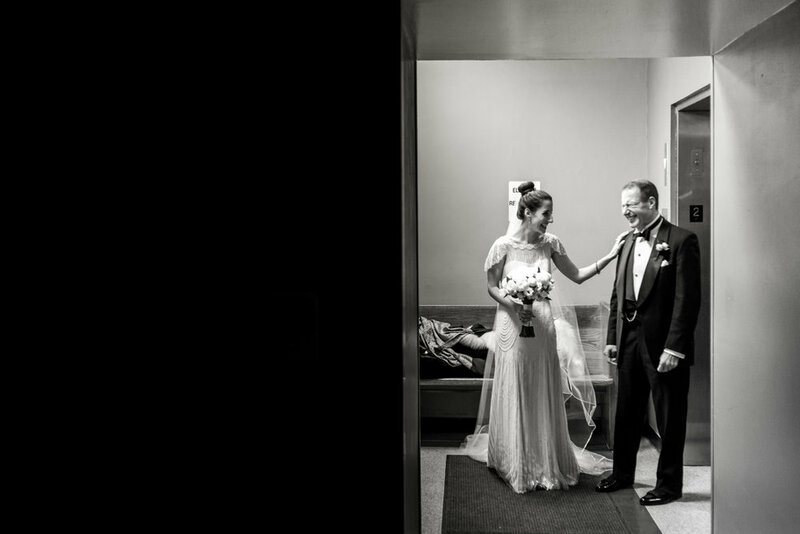 While the bride left a lot of decisions up to her mother, there was one thing she knew for certain: she wanted to get married at the Athletic Club, a building that holds special memories for her family. I spend a lot of time during my day focusing on details. I explain their importance to clients, plan them out, and painstakingly focus on them while I'm on-site. While details aren't the number one thing that makes a wedding (I believe that's the couple), they play a very strong supporting role. Details are how you personalize a wedding. Details are how you distinguish your wedding from another. 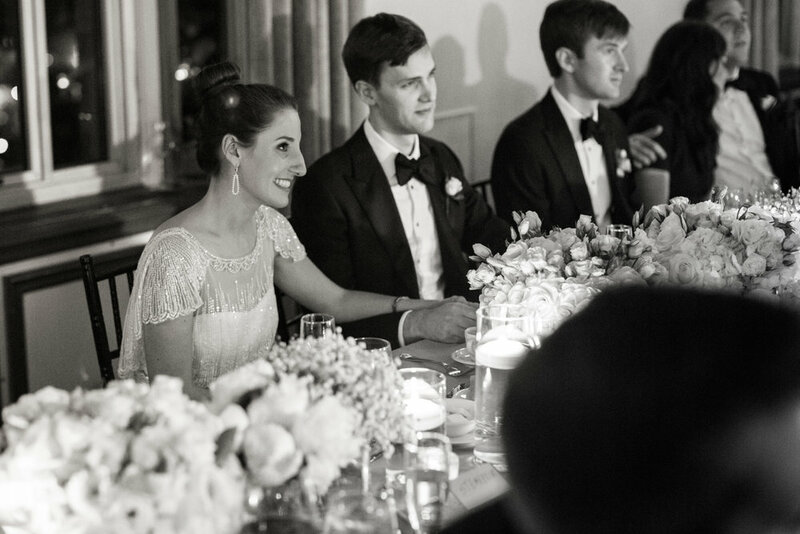 Details are how you imbue you and your fiance's personality into your celebration. 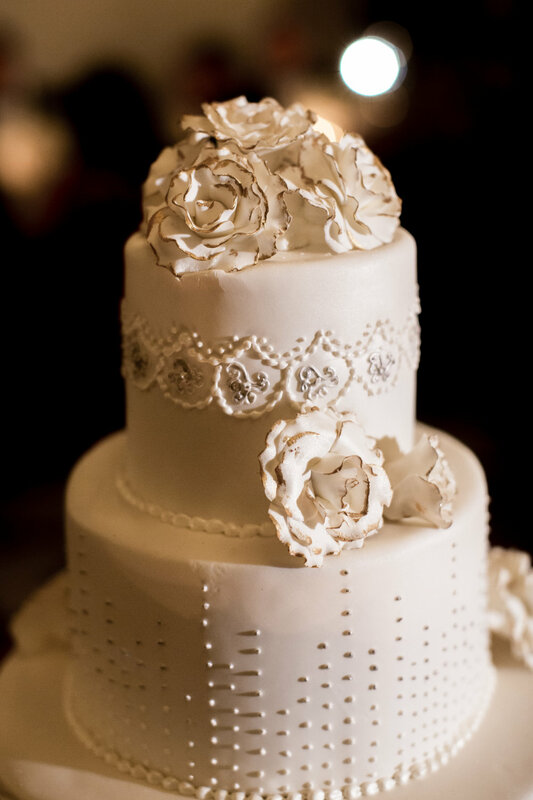 Details are how you ensure your wedding will flow seamlessly. Details are often remembered and reminisced about in later years. One of the reasons you hire a wedding planner is so you don't have to "sweat the details". So I guess it's no surprise that as a wedding planner, I pay attention to the details. What do I mean when I say an event should be cohesive? "I Don't Do Cookie Cutter Parties"
People always ask if we only plan weddings, and the answer is NO. In fact, while we LOVE weddings, we also really like mixing it up and planning all sorts of different events. I personally really like and get a kick out of planning fun kids birthdays and bar/bat mitvahs. It allows us to let loose and have a little more fun than we might with a traditional wedding. 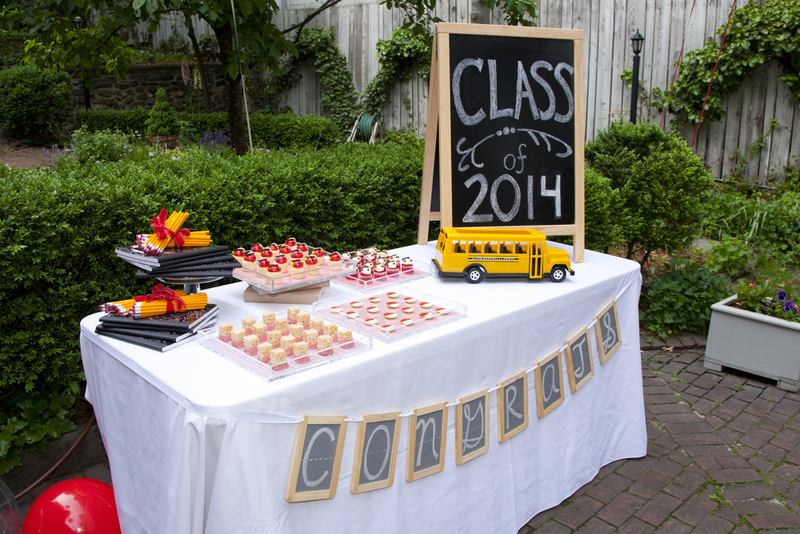 In June of this year we planned an adorable preschool graduation party in the garden of the Mount Vernon Hotel Museum, a hidden gem on Manhattan's Upper East Side. 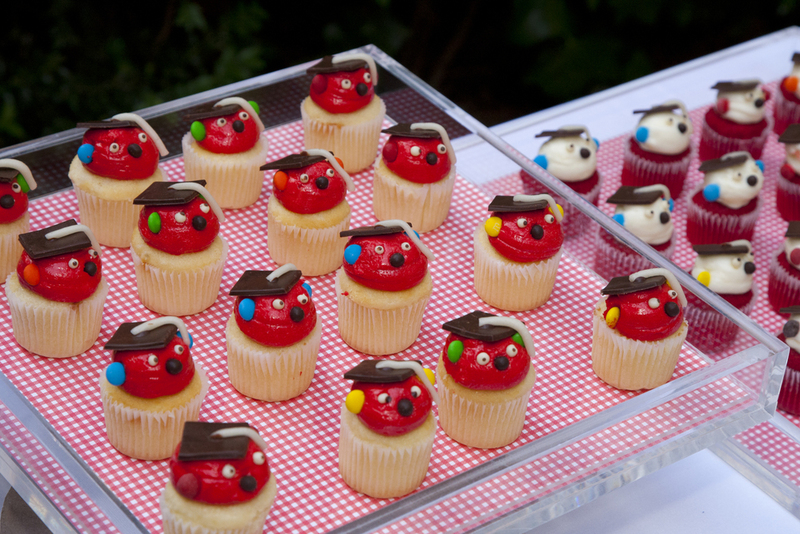 The kids' graduation was a great excuse to throw a party and get the class together before they parted ways for the summer. While rain threatened the party the entire day and the museum staff, waiters and my staff were ready to move everything inside at a moment's notice, it did not rain a drop. None of us could believe it, but I guess luck was on the kids' side. To decorate the space in a simple and kid-friendly way, we scattered beach balls and large round balloons in the school colors (red and white) throughout the garden. Because there were only 15 kids in the class and we knew they wouldn't really sit during the event, we created one large table for communal seating that was decorated with all sorts of different school supplies. (Making sure nothing went to waste, the school supplies were later donated to a first grade teacher who will use them next school year.) 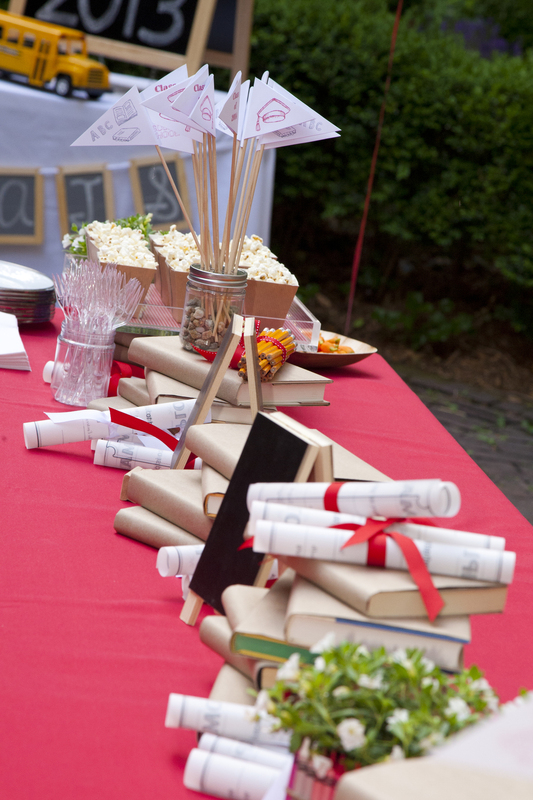 Crayon vases holding small potted plants were dotted throughout the table and mini pennant flags that were printed with the school name as well as the class year were placed atop stacks of used books that were covered in kraft paper. (Covering all of those books brought back lots of middle school memories!) 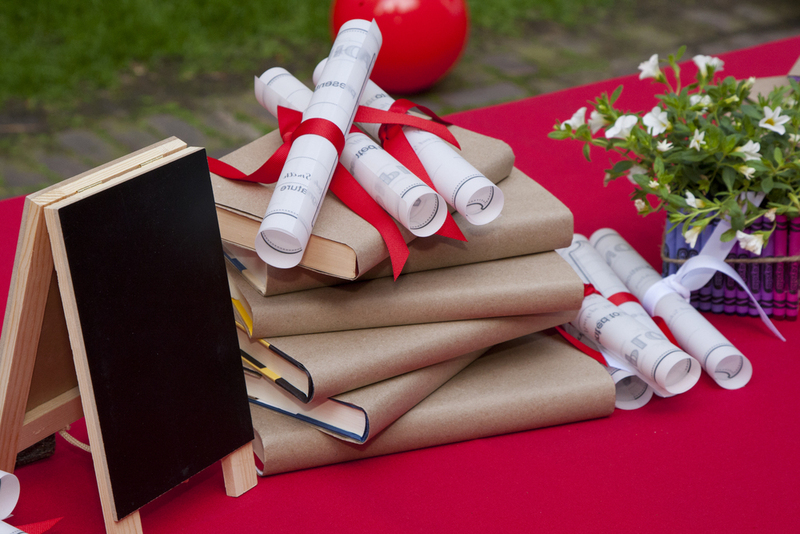 I also printed fake diplomas on vellum, rolling them and tying them with red and white ribbon. For dessert, we created a cute dessert table that featured more school supplies, fun chalkboard accents and adorable color-coordinated desserts that were provided by Olivier Cheng, the caterers for the event. All of his passing trays were color-coordinated as well. They always do such a good job! We also created a lemonade stand that served lemonade in sweet plastic mason jars with daisy cut-out lids with red and white striped paper straws. Lawn games were also scattered around the garden ready to be discovered by the kids. The fabulous Heidi Green photographed the party, taking a class photo of the kids in their red caps and gowns towards the end of the event. She then printed the photos during the remainder of the party and we quickly placed them in custom frames for the kids to take home. 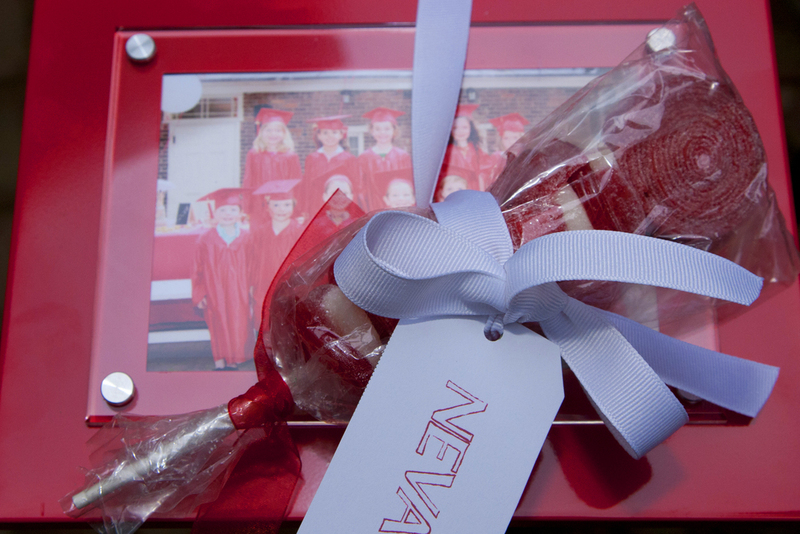 We also included fun red and white candy kabobs with the frames. Not a bad parting gift, right? Just takes a bit of coordination and some extra hands to make it happen! Founded by Laura Irizarry-Garcia, LIG Events is a boutique event planning company based in Washington, D.C.